The use of sage is for healing. The smoke is used to bless, cleanse and heal the person or object being smudged. Sage is used to ‘wash off’ the outside world when one enters ceremony or other sacred space. 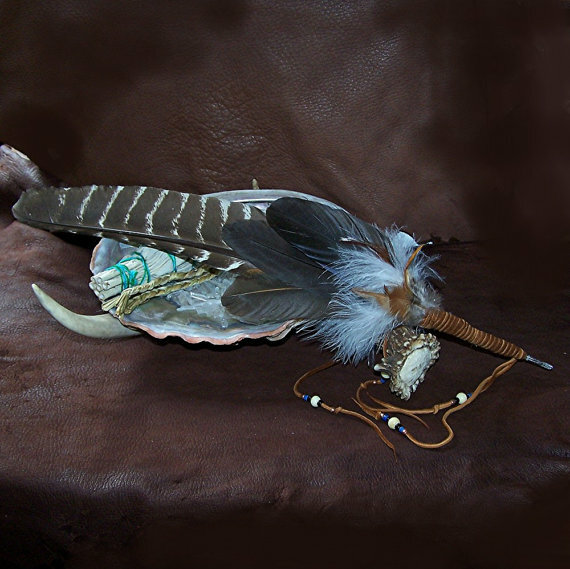 Objects are likewise washed off with sage medicine smoke to rid them of unwanted influences.The plants that are called sage can come from very different families of plants. Desert Sage is a good choice for any type of psychic work or spiritual work. Used for in preparation of ritual, divination or house blessing. 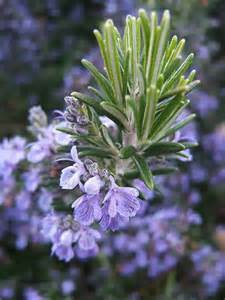 California White Sage is a good choice for preparing for any type of spiritual work. Cedar is a medicine of protection. Cedar trees are very old, wise and powerful spirits. Cedar is often used to cleanse a home or apartment when first moving in, inviting unwanted spirits to leave and protecting a person, place or object from unwanted influences. Cedar is used as a name for a number of different genuses of trees and shrubs. Cedar and Sage Smudge Stick is used for cleansing but also offers protection, A good choice for blessing a home, consecrating divination tools, ritual, and cleansing an area or item that has a negative feel to it. Also called Seneca grass, holy grass and vanilla grass. This very special herb’s sweet vanilla-like scent is the breath of the Earth mother, bringing the blessing of Mother Earth’s love. Sweetgrass is burned to remind us of essence of the feminine and that the earth provides us with everything we need. Sweetgrass & Sage Smudge Stick. The Sweetgrass and Sage Smudge Stick is a good choice for any type of psychic work as it will clear away negative energy and draw in high vibration spirits. A good choice for ritual, divination or house blessing. This native of Europe is often used for invitation of the spirits. The name may be derived from the Latin lavare (to wash) or livendula (meaning bluish). The Lavender and Sage Smudge Stick is a good choice for cleansing a home where stress and relationship problems exist. This is tree sap from Mexico that is similar to Frankincense. When burned it has a crisp, clean, sharp scent that is almost citrus-like. The Copal and Sage Smudge Stick is a good choice for any type of psychic work, purification, and consecrating ritual or divination tools. Palo Santo (Burserea Graveolens) wood is from the rainforests in Ecuador and was considered by many to be a Holy Wood. Palo Santo sticks, when burned, give off a warm and delicately sweet rosy-woodsy aroma. Burning Palo Santo has been used by the Incas since ancient times as a spiritual remedy, for purifying, and cleansing. Palo Santo is a good choice for cleansing a space of negative energies. The Palo Santo Sticks can be lit alone as is and will burn for a few seconds to a minute or so and extinguish themselves, filling a space with a sweet warm fragrance. This tree resin is considered to cleanse and protect the soul. Frankincense is said to ease depression and promote clairvoyance. This tree resin is said to help one maintain a state of enlightenment. It also connects one to the spirit of youth and clears the path of debris that stands in the way of one’s truth. Facing East – I welcome the energy of the beginning way, the rising sun at the beginning of the day and the light of illumination. Welcome Eagle, flying nearest the heavens, with the clearest of vision. I welcome the energies and spirits of the East. HO! Facing South – I welcome the energy of service to all my relatives, the heat of the noonday sun and the spirit of action in the world. Welcome Coyote spirit. I welcome the energies and spirits of the South. HO! Facing West – I welcome the energy of looking within to find the gifts of healing. Welcome Bear spirit going deep within to seek the gift of renewal. I welcome the energies and spirits of the West. HO! Facing North – I welcome the energy of wisdom and blessing and the Grandmothers and Grandfathers who teach me. Welcome Buffalo and the spirit of giveaway, teach me to be generous and honor all that I receive. I welcome the energies and spirits of the North. HO! Looking up – I welcome the energy and spirit of Above. Father Sky, Star people, and Cloud people. Welcome all that is masculine, grandfathers, fathers, brothers, uncles and sons. And that masculine energy that also exists within the feminine. I welcome the energies and spirits of Father Sky. HO! Looking down (touching the ground) – I welcome the energy of Mother Earth, the feminine principle, the energy and spirit of Below. I welcome the energy and the spirit of our grandmothers, our mothers, sisters, aunties and daughters. And that feminine energy that exists within the Masculine. I welcome the energies and spirits of Mother Earth. HO! Looking within (holding your hands over your heart) – I welcome the energy of Within, the principle of being connected, the energy and spirit of Within. I welcome the gifts of balance, oneness, and the connection with all things, for all things are one and all things are related. HO!